CHICAGO (WLS) -- Cook County laid off more than 300 employees Friday after a delay in the the county's sugary beverage tax left a hole in the budget. 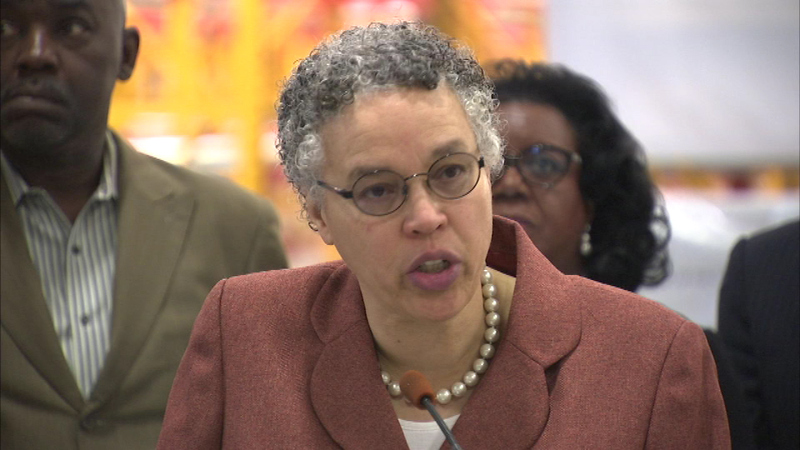 Cook County Board President Toni Preckwinkle said the layoffs were made as a result of an approximately $68 million gap in the 2017 fiscal year budget. The layoffs come after a judge placed a restraining order on a tax on sugary beverages in Cook County after a lawsuit by the Illinois Retail Merchants Association. The tax was supposed to take effect July 1. In addition to the layoffs, Cook County is closing more than 600 vacant positions. In a statement, Preckwinkle said in part, "I regret that these actions are necessary - and I deeply regret the impact they have on individual employees. One of the main reasons I proposed the modest tax on sweetened beverages last year was specifically to avoid these kind of cuts. I value the work undertaken by our dedicated employees as well as the services the County provides. The FY2017 budget, which was passed by the Board last November in a 13-4 vote, included that revenue. Unfortunately, the lawsuit filed by the IRMA and others just days before the tax was to take effect has led to what is likely to be a protracted legal fight. And while we believe we will ultimately prevail, we must take fiscally responsible actions now." Preckwinkle said every county bureau, department and separately elected office has to meet a 10 percent holdback mandated by the budget office. Hundreds protest tax on sugary drinks in Cook Co.